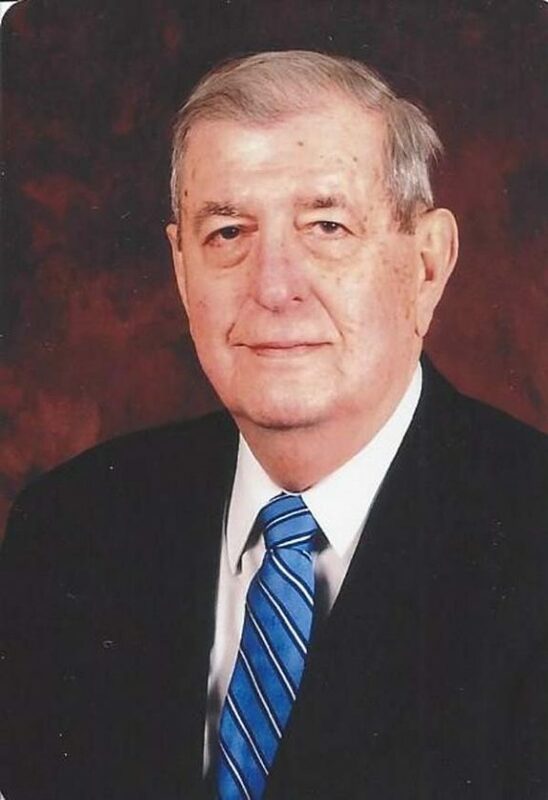 Edward S. Lomanto, age 89, of Gloversville, passed away Sunday, February 3, 2019, at Nathan Littauer Hospital, Gloversville. He was born December 17, 1929, in Gloversville, the son of the late Rosario and Maria DeRocco Lomanto. He was a 1947 graduate of Gloversville High School. Ed graduated from Colgate University in 1951 where he played football for the Red Raiders. Upon graduation he served active duty as a Captain in the U.S. Marine Corps in Korea. He went on to Albany Law School where he graduated in 1956. A devoted husband, father and grandfather, Ed’s family meant the world to him. He is survived by his wife of 61 years, Anne “Nancy” Butman Lomanto; four daughters, Maria Melucci (Jeffrey) of Fort Johnson, NY, Judith Burke (David) of Alpharetta, GA, Anne Johnson (Mike) of Oviedo, FL and Louise Scott (Steve) of Alpharetta, GA; six grandchildren, Melissa Melucci Pickard (Josh), Lucas Melucci (Allissa), Grace Burke, John Burke, Sarah Johnson and Stephen Johnson; two sisters and a brother, Concetta Salluzzo, Judge Angelo Lomanto (Grace) and Mary Jane Lomanto; as well as many nieces, nephews and cousins. In addition to his parents, Ed was predeceased by his siblings, James V. Lomanto, Joseph Lomanto, Salvatore Lomanto and Frances Lomanto Spencer. The family will receive relatives and friends from 10 to 11 a.m. Friday, February 8, at the Church of the Holy Spirit, 151 S. Main St., Gloversville, where a Mass of Christian burial will follow at 11:00 a.m. with the Rev. Donald Czelusniak officiating. Memorial contributions may be made in lieu of flowers to the Mountain Valley Hospice, 108 Steele Ave., Gloversville, NY 12078.